The Center for Justice, the Spokane-based legal advocacy organization, has made a name for itself since it was founded 1999 as a defender of the public interest and vulnerable populations. Its staff attorneys were on the frontlines of successful litigation against the city of Spokane over the 2006 fatal beating of Otto Zehm by local police officers, and it currently offers a slew of low-income legal services. 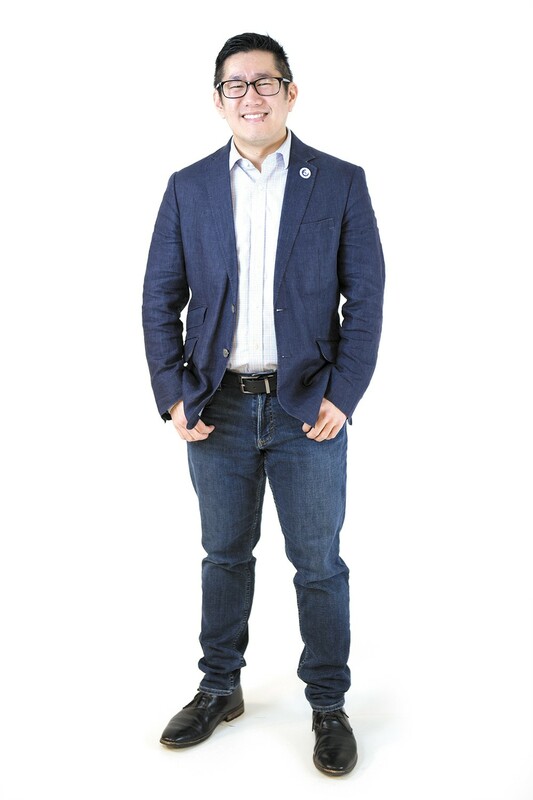 Now, its new executive director, 42-year-old Dainen Penta — a graduate of Whitworth University — promises to bring his past experience as a consumer bankruptcy and real estate attorney to bear in continuing the center's work. INLANDER: What's your vision for the Center for Justice? PENTA: My chief concern is to continue the work that's been done already and to further the mission. The center does direct representation, re-licensing, helping people get their licenses back so they can drive legally. They also run rental-rights clinics and do a lot of work around housing. And then handle one-off cases that are likely to have an impact. [We] also are moving towards a dual-purpose where we have direct representation, making a difference on the micro level, and [then] the macro piece where we engage in advocacy efforts. I think the center really wants to be seen broadly as a go-to ... as a subject-matter expert on what [local] laws might look like. The center is a place where we take ourselves outside of the usual lawyer model of an adversarial relationship because we're trying to build a better community and a more inclusive community. I think a conciliatory and restorative justice perspective is really important at the center. How would you differentiate the Center for Justice from the Gonzaga Law Clinic and the Northwest Justice Project? I think it is the advocacy perspective. We're another voice, another player, another stakeholder in a lot of different things. One of my goals will be to not try and reinvent the wheel or duplicate efforts. If somebody else is doing something positive, I think we can work with them, share resources, bolster our efforts, and hopefully that will improve outcomes, whether that's criminal justice reform, race equity, [or] housing justice. How will your previous legal experience influence your work at the Center for Justice? I was a consumer-side bankruptcy lawyer and [it was] really rewarding. It's stressful because you're working with people who are in often dire financial straits. The three top reasons that people file for bankruptcy are job loss, medical reasons, divorce. And a lot of times those three are tied together. I really learned that there's a very thin line separating the gainfully employed, contributing members of society from people who are living on the streets. We have to stop saying "us-versus-them" and in our minds creating a separate class of society because it just takes one health care episode [to go bankrupt]. What originally drew you to law? This has been lightly edited for length and clarity. The original print version of this article was headlined "Q&A Dainen Penta"